Spinning wheels, who doesn’t know them? Even if it is just from fairy tales like Sleeping Beauty and Rumpelstiltskin. Because of the fairy tales spinning wheels are also the best-known method to make your own yarn for knitting, crochet or weaving. Spinning wheels come in lots of different shapes, sizes and also have many different components. With this post, I want to make you a bit more familiar with the latter. Due to the large differences between wheels, the various parts are sometimes shaped differently or located in a slightly different spot. The following components can, however, be found in most spinning wheels, in one form or the other. 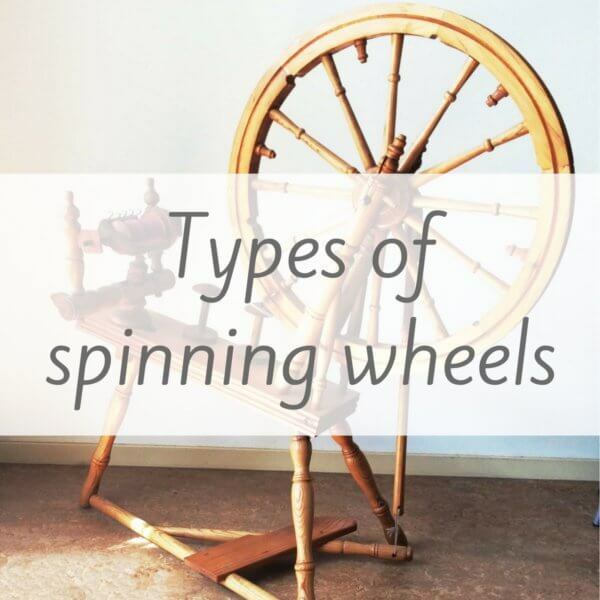 Much of the information on spinning and spinning wheels online, is in English. Being Dutch I found that a lot of information is not available in my own language. Therefore I have I included both Dutch and English in the notes below about the various parts and components. A. Wheel (aandrijfwiel): The wheel that spins around and doing so puts the other parts of the spinning wheel in motion. B. Maidens (spilsteunen): The vertical supports that hold the flyer and bobbin. C. Mother of all (spinhoofd): The horizontal bar on which the maidens, flyer, bobbin and tension screw are attached. 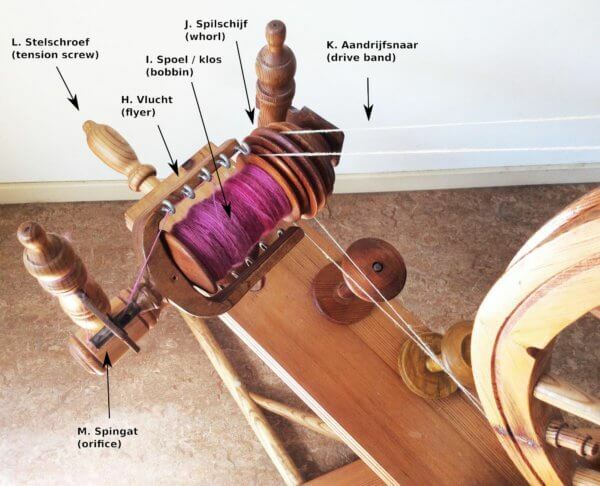 D. Treadle (trapper/voetpedaal): The treadle that lets you bring the drive wheel in motion. Some spinning wheels have one treadle (single treadle wheels), other versions have two to be used with both feet (double treadle). E. Footman (aandrijfstok): The part that connects the treadle to the drive wheel, causing it to rotate when treadling. F. Table (tafel): This is the central component of a spinning wheel, where everything is built upon which gives a wheel its structure. G. Plying rack (twijnrek): Raised pins that are used to place bobbins filled with spun singles on, in order to ply them together in a plied yarn. They can of course also be used to store additional bobbins when not plying. H. Flyer (vlucht): U-shaped component with hooks at one or both sides of the arm of the U. The hooks are used to divide the yarn neatly over the bobbin. The flyer is rotated by the drive belt, causing rotation (twist) to insert into the wool. The fibers themselves are relatively weak but combined in this manner, they are much stronger. 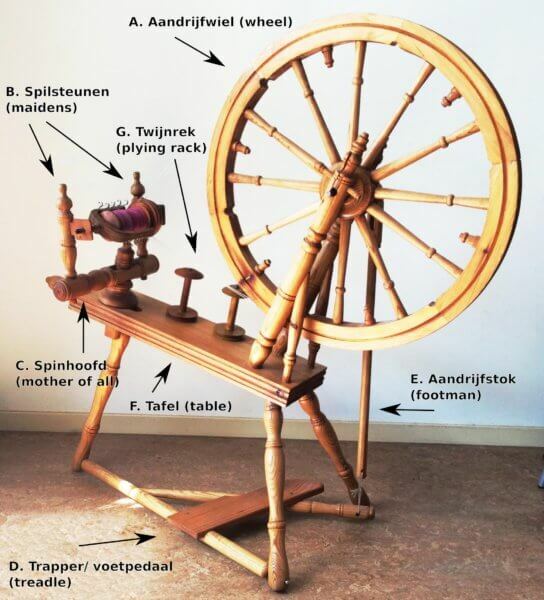 I. Bobbin (spoel/klos): The bobbin is placed on the flyer spindle and rotates, along with the flyer. 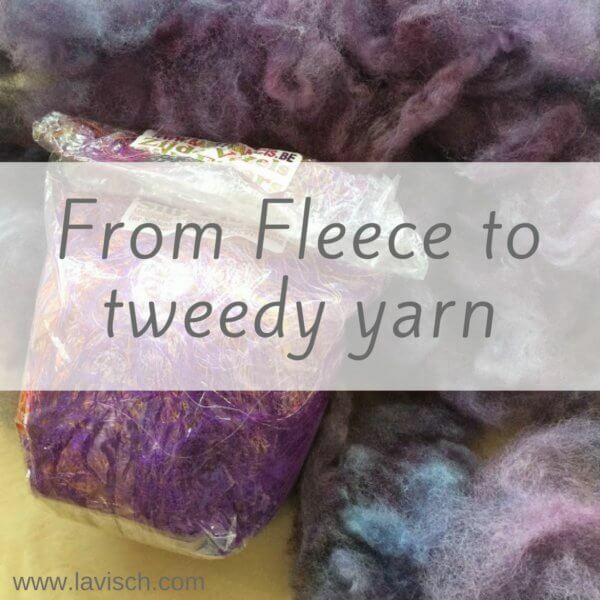 Here, the yarn is wound up, when sufficient twist has entered the wool. J. Whorl (spilschijf): A pulley which is placed on the spindle, is connected with the flyer, and is driven by the drive belt. The different dimensions of the grooves in the whorl determine how fast the wheel is spinning and have an important impact on the ratio of the spinning wheel. With ratio is meant how many times the flyer goes around with one turn of the wheel. The higher the number, the faster the wheel spins. K. Drive belt (aandrijfsnaar): A cord placed around the wheel and whorl, which thus transfers the rotation of the wheel onto the other parts of the wheel. Modern spinning wheels typically have a flexible plastic drive belt, I use hemp packaging twine on mine. L. Tension screw (stelschroef): This part is used to put tension on the drive belt by moving the Mother of All. M. Orifice (spingat): The opening at the end of the flyer spindle, where the wool goes through before it is wound through the flyer hooks onto the bobbin. 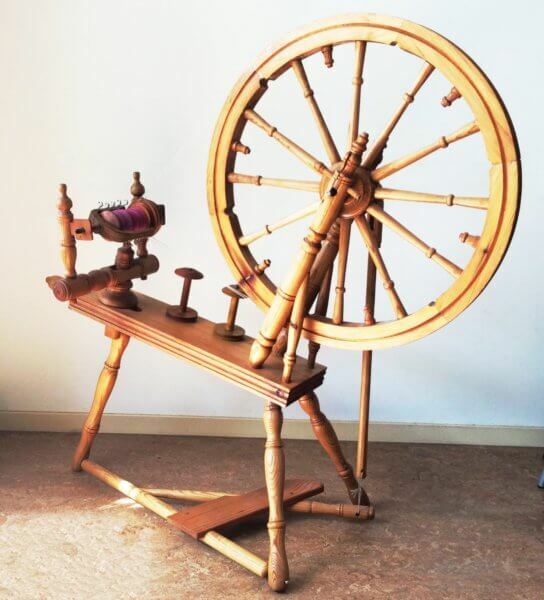 In this post, I’ll tell you about the various types of spinning wheels.